It’s pretty easy to hack into VoIP systems with the help of hackers, frauds etc. but, this can be taken under control with the help of the hacks given below. Are you wondering about what happens when your business VoIP phone or, call centre phone is hacked into? You’re prone to all kinds of cyber-crimes like toll- fraud, virus alerts etc. The Federal Communications Commission (FCC) has yet to release regulations for VoIP fraud, which means that the customer is still held financially liable for hacked calls. A recent study said that 40% of internet users have experienced their accounts getting hacked. Their notifications are altered, passwords are stolen and so on. With businesses at stake, this kind of a hack can make the business fall apart. Sometimes, all it takes to hack your device is a Google search. Most VoIP providers provide with pre- set passwords which is available online. Phone web may not have any automatic lock so, it’s easy to attack your interface with unlimited keygen passwords. However, you must be careful at all times. Special characters, numbers, lower case, upper case, etc. Ensure you update the admin portal password for your VoIP service provider as well. Else, it can be damaging. In fact, you should give the credentials to people who need it- not declare it out loud! 2. Network Address Translation (NAT)- Enable it! The beauty of NAT is that it has the ability to provide your VoIP phone, computers and other devices with a private IP address which only LAN can see./with the help of this process, a barrier is created between the traffic from the open internet and the phone! If the hacker cannot locate the IP address of your device, he definitely cannot hack into your system! For the ones who are taking NAT and hacking very lightly, well, don’t! You are more vulnerable to attacks. Make the most out of this wonderful shield. 3. Phone Web Interface- disable it! The web interface in your VoIP phone is the one which provides room for your IP phone to upgrade, change properties etc. It can download a backup configuration of the phone, which will reveal the usernames and passwords of the phone's users in plain text. Once the phone web interface is enabled, your network is most vulnerable for fraudent purposes. It’s not compulsory for the hacker to be on the LAN- all he needs is the phones private IP address! Passwords which are highly difficult may also not help you protect your phone from getting hacked. Remember, you receive pre- set passwords? Even if the password was changed, the hacker can discover the credentials using key cracking software. There’s a high possibility that your IP phone hasn’t been locked in spite of previous attempts. Remember, a hacker is capable of trying out 10 different passwords each second! Once he’s hacked into your system, your phone, configuration etc., it’s all under his control! What’s recommended is that you turn off your phone’s web interface. Re- enabling is possible so, reach out to your VoIP providers and they’ll help you out! A port is nothing but an active channel to the internet on your router. 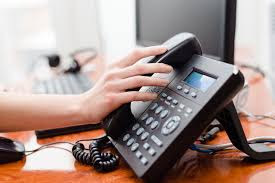 VoIP phones require LAN connections for accessing the internet! Port 80 is particularly susceptible to hackers, because the traffic is HTTP, the kind you come across on most websites. The web interface for your VoIP phone is also in HTTP, which means that hackers can potentially burrow into Port 80 on your router, and access the web interface as if it were any other public website. Until you close Port 80, your phone's web interface will have a public IP address that anyone on the internet can access. That's why you should close port 80 with a firewall. Disable international calling if you ain’t making any! Try purchasing a calling card instead, ensuring you keep track of your phone records as well. Reason being, it’s convenient from any acker across the world to just make an international call and hack into your systems in the span of seconds. Prevent frauds and hackers coming into your work life by making the most out these preventive measures. Else, you can always rely upon the best of VoIP providers in India, USA, Canada etc., wherever you are.